People across the UK are being called on to bake Marmalade Cakes for Loneliness Awareness Week (June 18-22, 2018) to help communities deal with the ‘silent epidemic’ affecting the lives of more than 9 million people. Loneliness Awareness Week (LAW) is being held by Marmalade Trust and the theme of baking Marmalade Connection Cakes has been chosen to help people connect and start conversations with neighbours and people in the community. 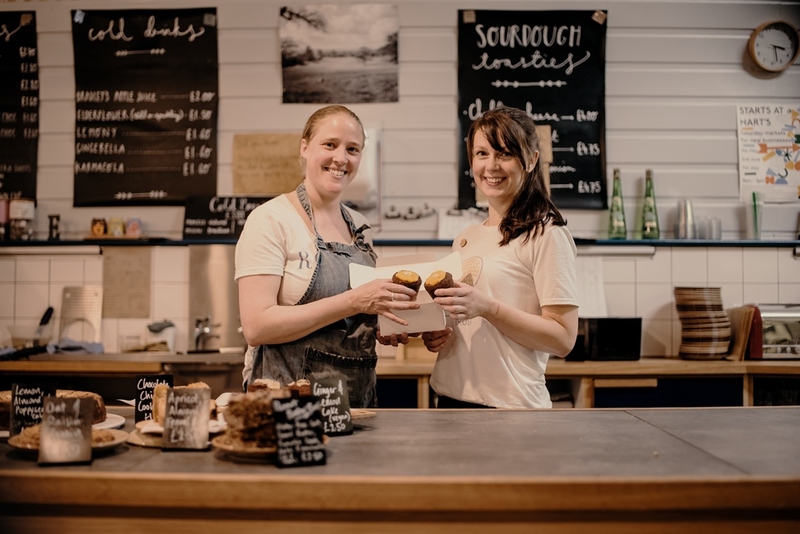 Bristol-based, Hart’s Bakery, are designing special Marmalade Connection Cakes for the occasion and community groups from all walks of life are already getting involved. The bakery has even provided a recipe for the week, which can be downloaded here. Marmalade Trust founder Amy Perrin said: “Since we formed in 2013, loneliness has become an issue more people are aware of but just don’t know how to deal with or what to do. “The days of popping into a neighbour’s house for a cuppa or taking an elderly relative a nice cake and having a chat can seem far in the past. We wanted to harness the country’s love of baking to benefit those who need it most. “LAW is about giving people the tools to approach those who are suffering in silence and make their days a little brighter. It is amazing the difference a quick chat and a smile can make to someone who is lonely. Hart’s Bakery are also calling on bakeries across the UK to join them in baking Marmalade Cakes and offering people a ‘Buy One Get One Free’ (BOGOF) offer where people can give one of the cakes to someone they think might need cheering up. Hart’s Bakery founder, Laura Hart said: “We’ll have the cakes available every day in the bakery along with the other businesses we supply. We hope it’ll become a bestseller. This is the second ever LAW and it has been timed to tie into the Great Get Together organised across the country from 22nd-24th June in memory of murdered MP Jo Cox. Amy said: “Jo Cox was passionate about tackling the issue of loneliness and a loneliness commission was started in her name last year.